It’s no secret that Arabs have a deep-rooted passion for football. The sport, dubbed by fans as ‘the beautiful game’, has long dominated the region, dating as far back as 1907 when Egypt formed the first ever Arab football team that went on to become known today as Al-Ahly. So, if you grew up in the Arab world, your earliest memories will definitely involve watching the sport, if not playing it at the local neighborhood pitch. 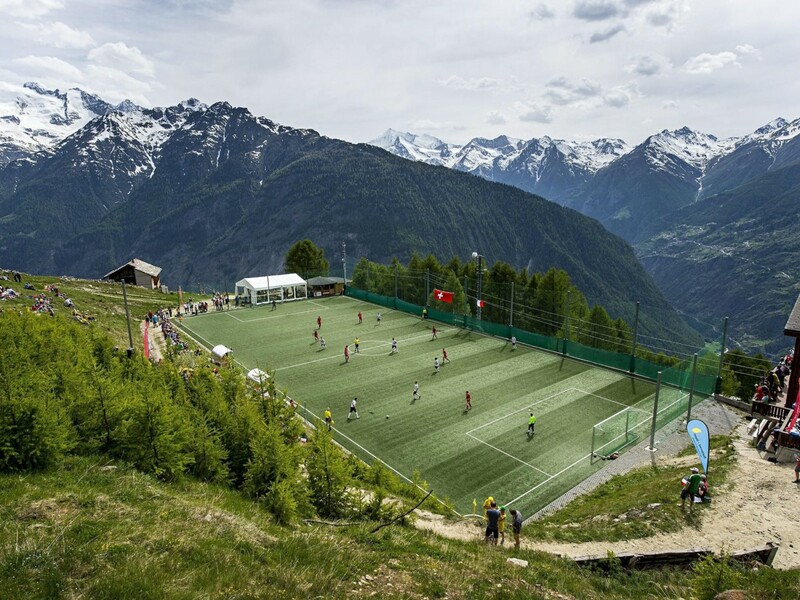 Located in the village of Gspon, Switzerland, this football field is the highest in the world. The pitch is carved in to the mountains and stands at a whopping 2,000 meters above sea level. Bilad Sayt is a traditional mountain village that’s tucked behind the road towards Nizwa. 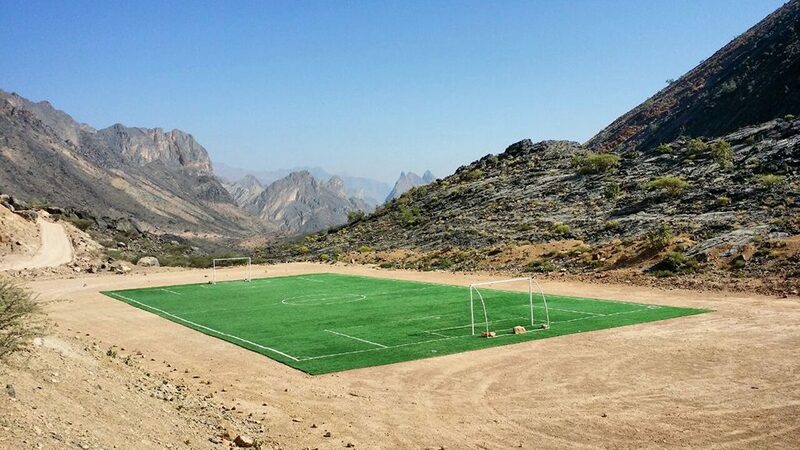 There lies a little-known but stunning football pitch right in the middle of the mountains. 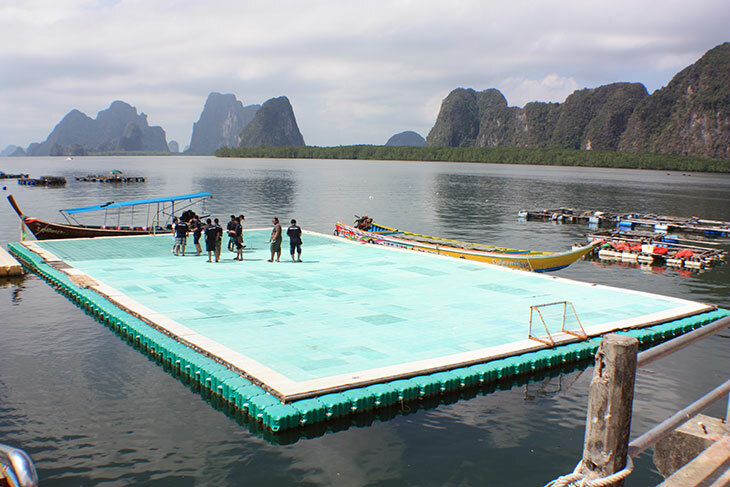 Most people travel to Thailand for its stunning beaches, but the little island of Panyee has a little something different to offer: a floating football pitch. 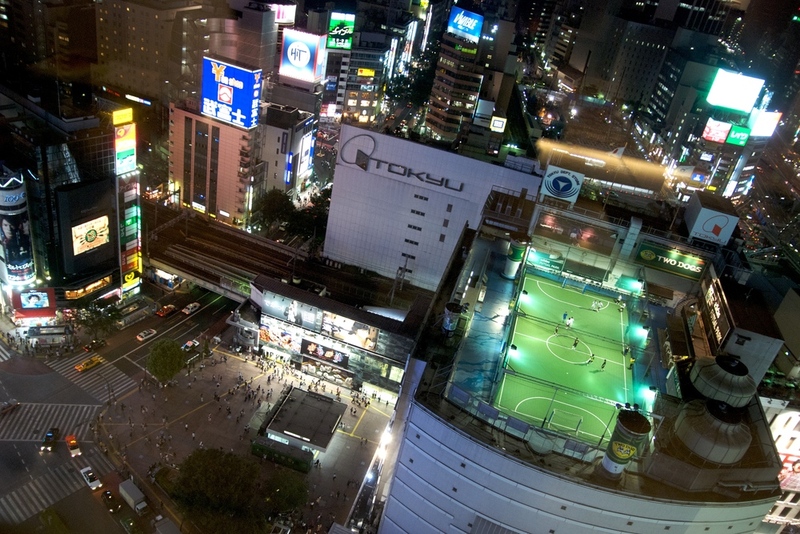 While most tourists are familiar with the famed Shibuya crossing, most are unaware of the Adidas Futsal Park—an ultra-picturesque rooftop pitch on top of the Tokyu department store. Unveiled just a few years ago in 2014 by iconic Brazilian football player Pelé, the Mineira football pitch is a first of its kind. 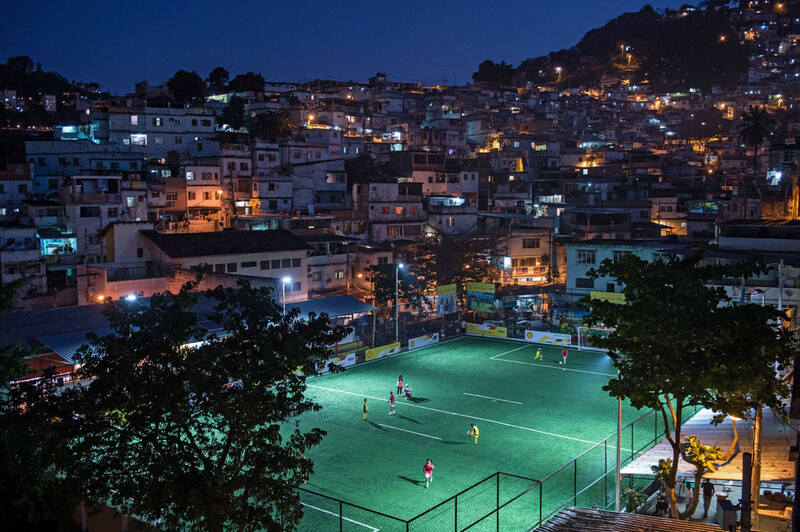 Using revolutionary technology and solar panels, the football pitch converts football player’s kinetic energy into electricity to power the favela.